ICONIC BRAND Ferrari will have a major presence trackside at the 2017 Liqui-Moly Bathurst 12 Hour. The brand has confirmed that the stunning 950-horsepower LaFerrari hypercar will take to Mount Panorama for demonstration laps on the 6.123km circuit. The LaFerrari will be joined on-track by the incredible F12tdf and a Ferrari 488. 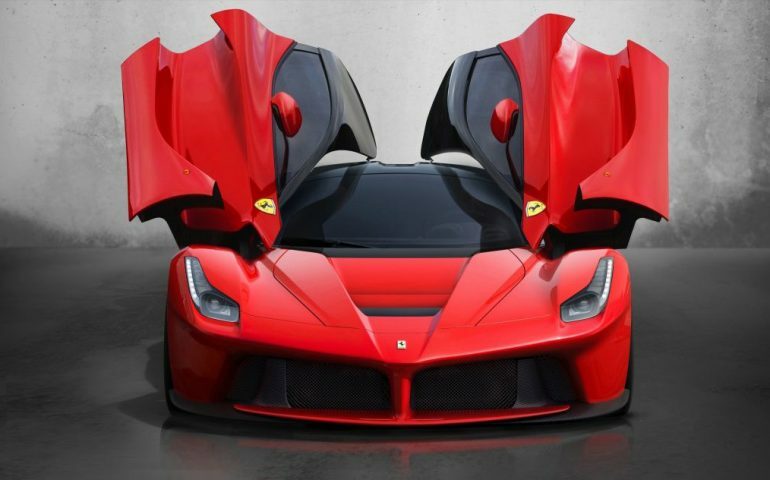 LaFerrari – literally ‘The Ferrari’ – was unveiled in 2013 and is considered to be the ultimate car produced by the brand. Its combination of 9,000 RPM 6.3-litre V12 and Hy-KERS Formula 1-style hybrid technology produces 950 horsepower. The car produces remarkable performance, able to go from rest to 200km/hr in approximately seven seconds and on to a top speed of more than 350km/hr. The cars taking to the track will then be joined by an array of Ferrari’s road going products on display in the all-new Manufacturers Walk area located in Harris Park. Ferrari Australasia CEO Herbert Appleroth confirmed Ferrari would display some of their most famous cars throughout the weekend, including an F40, two 599 GTOs and a GTC4 Lusso T – amongst others. “The Bathurst 12 Hour is of growing global significance and Ferrari is proud to be this year’s featured marque at the event. This event provides a fantastic opportunity for Ferrari to celebrate our racing heritage, engage with our customers, and showcase Ferrari’s epic performance cars to fans of the brand who follow the racing scene so closely,” said Herbert Appleroth, CEO of Ferrari Australasia. “We will be putting on an event that is uniquely Ferrari and we are hoping that our fans and customers will come to the Mountain with their vehicles to enjoy the weekend and one of Australia’s fastest growing events. Ferrari’s off-track presence will help support their campaign for a second Liqui-Moly Bathurst 12 Hour victory, Craig Lowndes, Jamie Whincup and Toni Vilander to steer the Maranello Motorsport Ferrari 488 GT3 in the race this year. Tickets, Camping and VIP Parking access remain on sale for the 2017 event and are available to be purchased by clicking here.